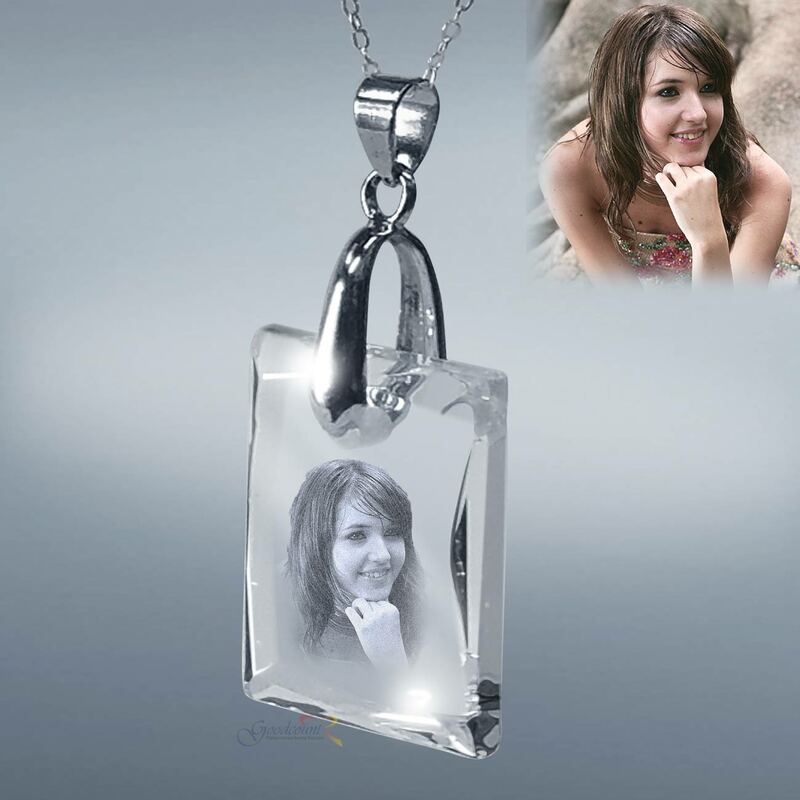 Picture Crystal Pendant with Silver Chain	Overall rating:	5	out of 5 based on 1	reviews. 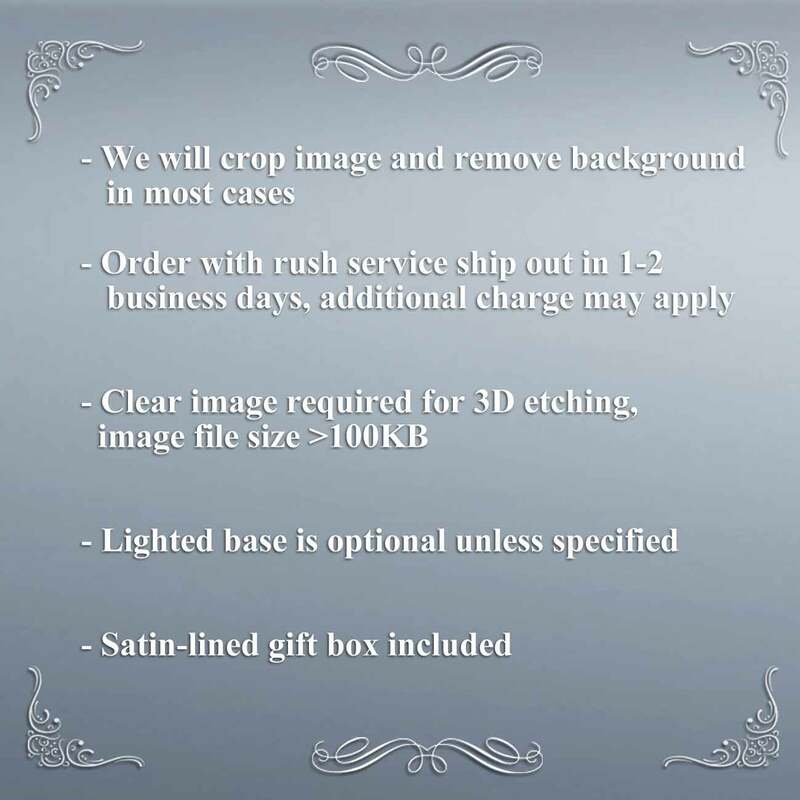 Sorry, the product is too small for text. 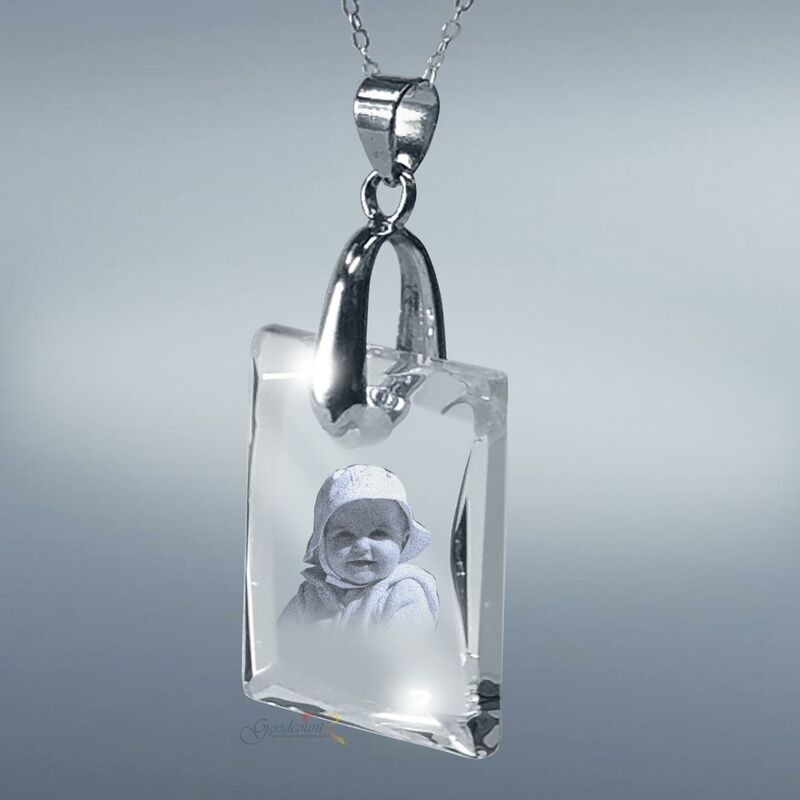 This charming laser engraved picture in crystal heart ornament has beveled edges that add sparkle to holidays. 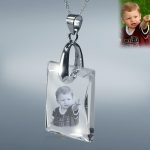 The attached red ribbon makes it perfect for hanging on the Christmas trees, ornament hangers or hooks around your home. 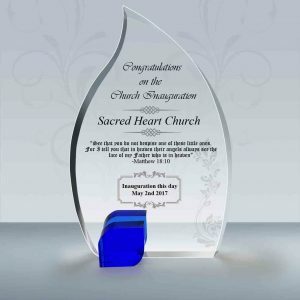 It can also be a medal or decoration. 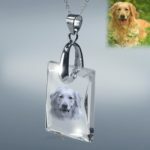 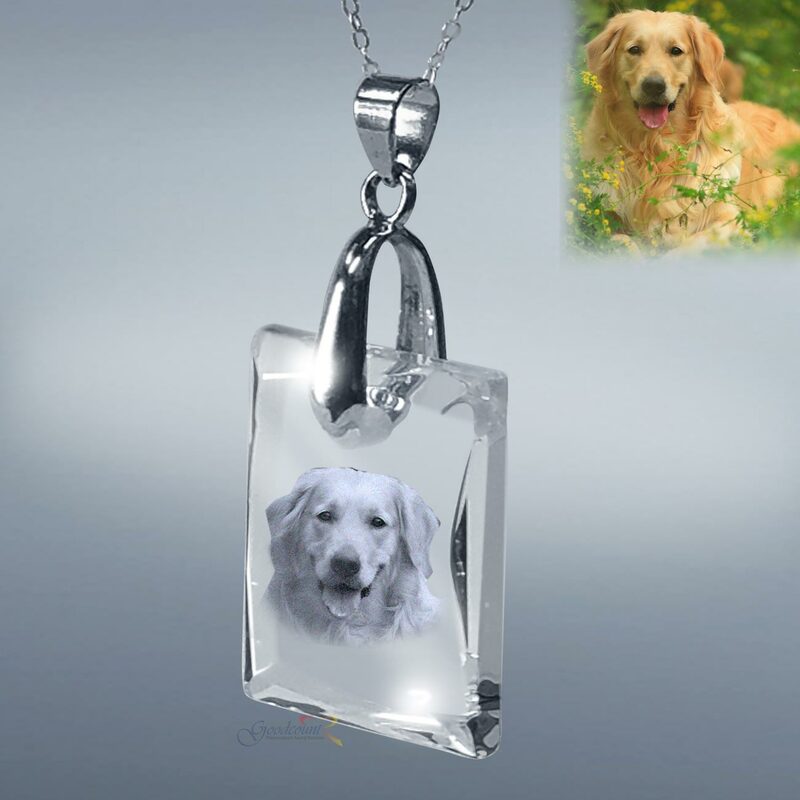 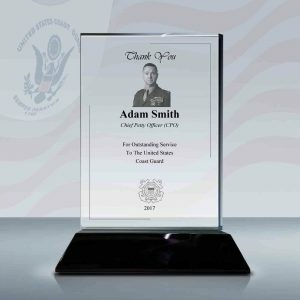 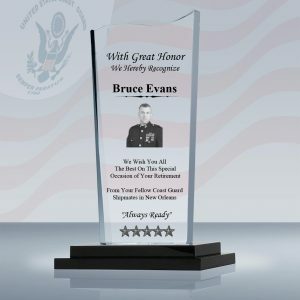 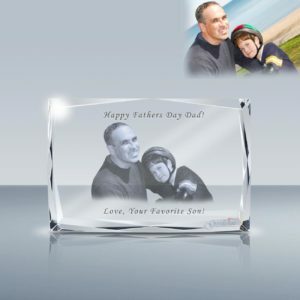 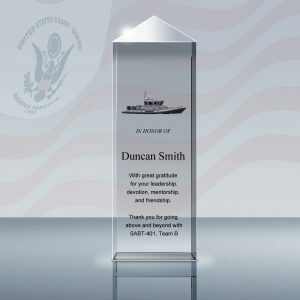 Your photo of persons, pets or others are professionally engraved inside the exquisite optical crystal creating an image that will last forever.